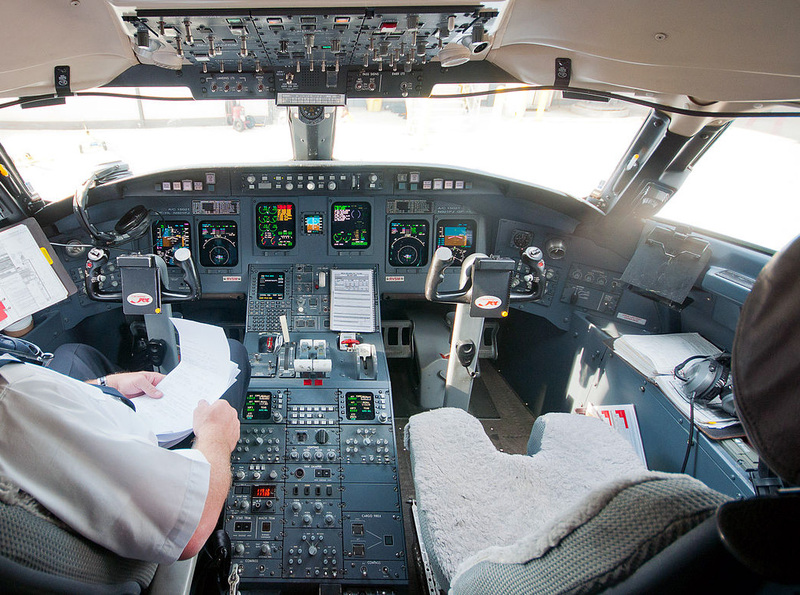 Bombardier CRJ900 avionics are powered by the Rockwell Collins Pro Line 4 avionics suite. This suite combines components from Rockwell Collins that are integrated into one suite. The CRJ900 avionics are the same as the previous versions of the CRJ series aircraft (CRJ100, CRJ200 and CRJ700) with slight modifications. The Pro Line 4 system is considered to be a legacy system and will not be used in new, clean sheet aircraft. Bombardier CRJ900 avionics displays consist of 6 displays with two located on the captains side, two multifunction displays located in the middle and two displays for the first officer. These displays are CRT screens and are not based on newer technologies like LCD. The CRJ900 avionics has two Collins FMS-4200 units located in the middle of the cockpit. Above Bombardier CRJ900 Cockpit Photo by Ralf Roletschek of fahrradmonteur. de on Wikimedia Commons. Photo (only) released under a Creative Commons License. The Bombardier CRJ900 avionics are also called the Bombardier CRJ9 avionics, Bombardier CR9 avionics, Bombardier CL-600-2D24 avionics, Canadair CL-600-2D24 avionics, Bombardier CRJ 900 avionics or the Canadair Regional Jet 900 avionics due to the various names for the CRJ900 jet.